I put googly eyes on things. From photos to ads to inanimate objects, it’s all fair game. Today’s victim is Dunkin’ Donuts food items. 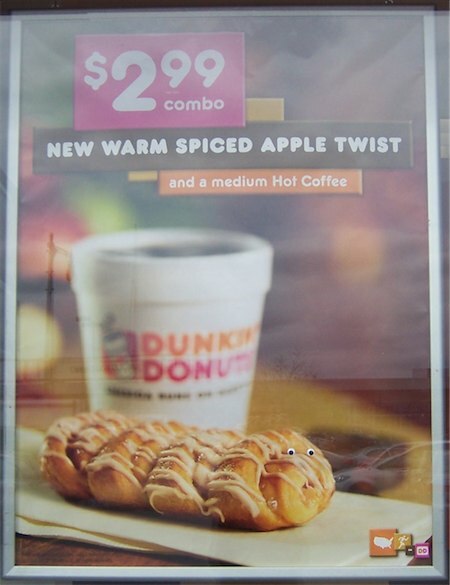 Ads for Dunkin’ Donuts are almost as plentiful as the stores themselves, so this isn’t exactly a hard target. Perhaps the most difficult part is getting a decent picture on a moving subway train, using an iPhone. You’ll see I was only moderately successful there. I’ve sometimes thought of getting fake mouths, to go with the googly eyes. This slightly blurry guy, however, doesn’t even need a fake mouth. He is simply ecstatic to be alive. Of course, that may change soon, as he’s about to be breakfast. The details on this guy crack me up. Note the lower left, where you can see that he’s a Smart Menu item. He certainly looks smart – check out that cranium he’s sporting. 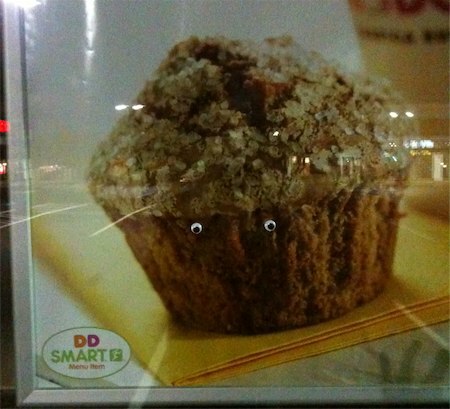 Incidentally, I call him the “Brain Muffin”. 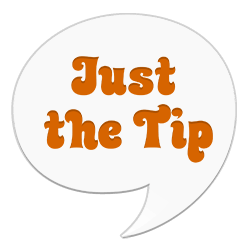 That joke is terrible, and so it is provided completely free of charge. This one, however, is my favorite. 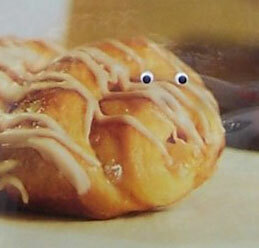 Have a look at this poor cruller. He’s just become sentient. His eyes have opened to the world for the first time. And he is horrified. He’s horrified at what he sees, horrified at what he is, and if he’s got half as much intelligence as the Brain Muffin, horrified at what his future holds. 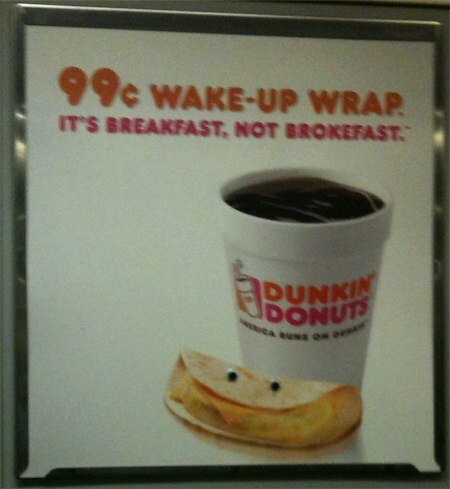 For more googly eyed amusement, see Googly Eyes: Subway Ads.